In our experience, improper planning at the start of an agreement is a primary cause of many contract disputes. 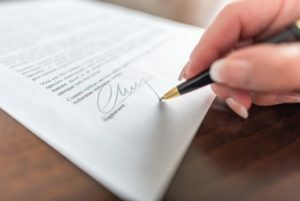 The contract is what dictates the expectations for performance and payment, and issues can arise when the rights and obligations of each party are not clearly identified or understood. Consider our helpful tips to steer clear of a contract dispute. Avoid vague, open-ended terms. Many problems occur as a result of incomplete, inconsistent or vague terms and provisions. A contract must be clear, consistent and specific; otherwise the parties could have conflicting interpretations of the provisions, plans and specifications, thus causing a dispute. Contracts should be reviewed by each party and their attorneys before signature to insure no ambiguities or inconsistencies exist. If amendments are made during the life of the contract, those must also be reviewed to assure consistency with prior provisions. Clearly define performance standards. A well-written contract clearly establishes the performance and quality standards and a timeframe in which the work will be completed. The contact must clearly specify the expectations each party has for the final project, as well as the person responsible for determining if the quality level has been met. Include provisions for early termination. Sometimes a party might be unable or uninterested in continuing a contract. Rather than hindering the relationship or waiting for a party to breach the contract, you may wish to include an escape clause allowing either party to leave the contract under certain circumstances. In exchange for terminating the contract, the other party may be entitled to either payment for the profit they would have made had the contract been completed, or a specific percentage of the funds that would have been paid during the remainder of the contract. All of these details should be clearly outlined in the early termination provision. Consult an attorney. To ensure the rights and obligations of both parties are clear and concise, it's advised to consult an attorney. At Catanese & Wells, we specialize in contract negotiation and preparation and can help you create a contract that protects the rights of each party. Contact our business lawyer in Los Angeles today to get started: (818) 707-0407.